Adelaide's No.1 Paslode & SP Tools Specialist. Including Dewalt, Stanley, Fatmax, Hitachi, HiKoki, Makita, SP Tools, plus many more. Including TTi, Sidchrome, Kincrome, SP Air Tools, M7 Air Tools, Iron Air Tools, Scorpion, plus many more. If you have a general question about your generator or need some advise ​on what size generator to buy..please give us a call on the generator hotline. Paslode, Duo Fast, Hitachi, Powers, Airco, Senco, Ramset, Sp air, Bostitch, Bosch & Makita plus many others. We service and repair nail guns, compressors & Generators onsite. 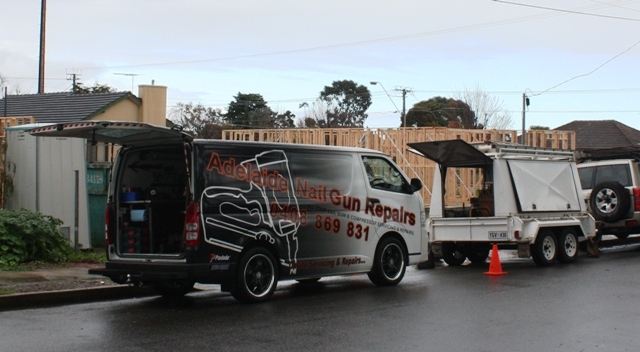 With over 36 years experience in the nail gun repair trade.